Michael Rosfeld is accused of killing Antwon Rose Jr. in East Pittsburgh on June 19, 2018. A white police officer was charged Wednesday with homicide in the shooting of an unarmed black teenager who was hit in the back while fleeing a traffic stop, a death that has fueled daily protests around Pittsburgh. 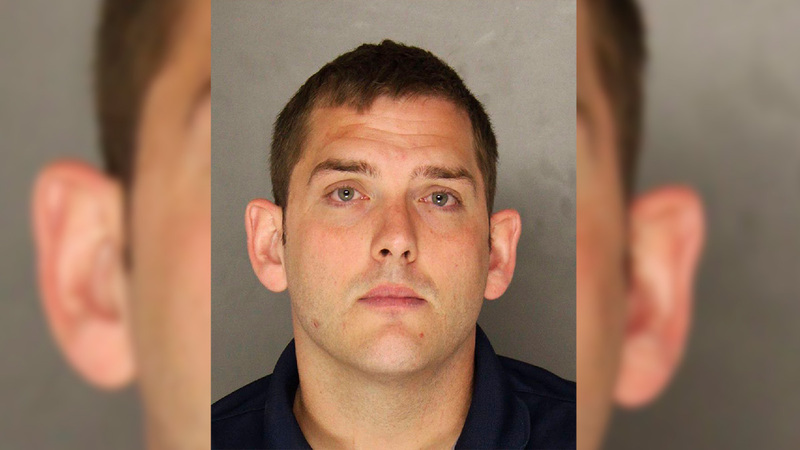 Prosecutors cited officer Michael Rosfeld's inconsistent statements about whether he saw a gun in Antwon Rose Jr.'s hand. Rosfeld, 30, of Penn Hills, turned himself in Wednesday morning, his lawyer said. He was arraigned on a criminal homicide charge in Allegheny County and released after posting $250,000 bond, according to court records. He faces a July 6 hearing. The East Pittsburgh officer first told investigators that the teen turned his hand toward him when he ran from the car and the officer "saw something dark he perceived as a gun," according to the criminal complaint. During a second recap of last week's shooting, Rosfeld told investigators he did not see a gun and he was not sure if the teen's arm was pointed at him when he fired at the 17-year-old. "I find that Rosfeld’s actions were intentional," Allegheny County District Attorney Stephen Zappala Jr. said. "He was not acting to prevent death and serious bodily injury." The officer had been sworn in just hours before the June 19 shooting after working at the police department for a couple weeks. The car Rose was in had been stopped on suspicion of involvement in a drive-by shooting. But investigators determined that Rose had had done nothing "except be in the car," he said. Zappala said witnesses described Rose as showing his hands before the shooting, stressing that he did not have a weapon. Rosfeld's attorney, Patrick Thomassey, said little as he left court Wednesday but had said in a previous statement that his client "feels bad about what happened, and it was his first time ever firing his weapon as a police officer." A lawyer representing Rose's family said that relatives had "guarded optimism" about the charge filed against the officer. 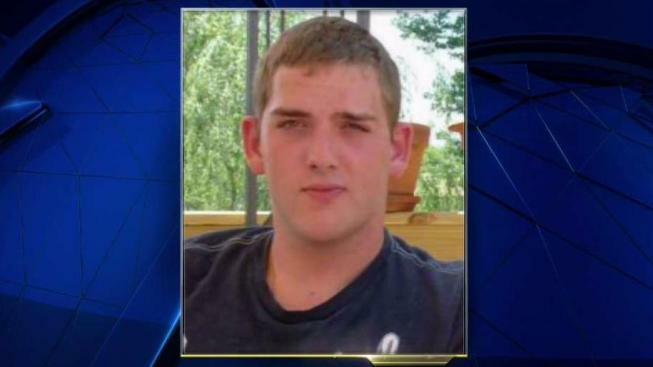 A funeral for the teen was held Monday. "The family will settle for nothing less than a conviction and appropriate sentencing," attorney Lee Merritt said. Rose was shot three times — in the right side of his face, in the elbow and the fatal shot to his back, which struck his lung and heart. Rosfeld pulled over the car in which Rose was a passenger about 15 minutes after reports of a drive-by shooting in nearby North Braddock. In that attack, a 22-year-old man was shot in the abdomen and was treated and released from the hospital. A witness described a car from that shooting as matching the one Rose was in. A bystander from a nearby home captured video of a portion of the stop and the shooting. As Rosfeld took the driver of the car into custody, the passenger doors can be seen opening and Rose and another teen are seen running from the car. The officer then fires three shots. Rosfeld has been on administrative leave since the shooting. Two guns were found in the car, and an empty gun magazine was found in Rose's pocket, investigators said. According to the complaint, the driver of the car, who was operating as an illegal cabbie, said he heard shots from the back of the vehicle, where the second teen was sitting. He said Rose was sitting in the front and did not fire any shots during the earlier shooting. The charge against Rosfeld comes a day after authorities arrested the second teen. That teen was identified Wednesday as Zaijuan Hester, who was charged with aggravated assault, possession of a firearm by a minor and other offenses in connection with the drive-by attack. Rosfeld, of suburban Penn Hills, had worked at several other police departments, including the force at the University of Pittsburgh, during the last seven years.